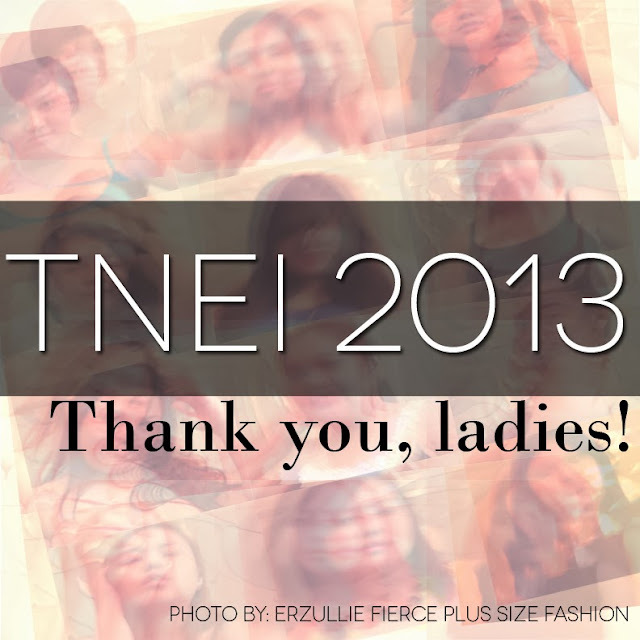 PLUS SIZE EVENT: THANK YOU #TNEI2013 GO SEE MODELS! We would like to thank all of the plus size models that attended The Next Erzullie Icon 2013 Plus Size Model Go See (#TNEI2013). We appreciate all of your efforts for this project! 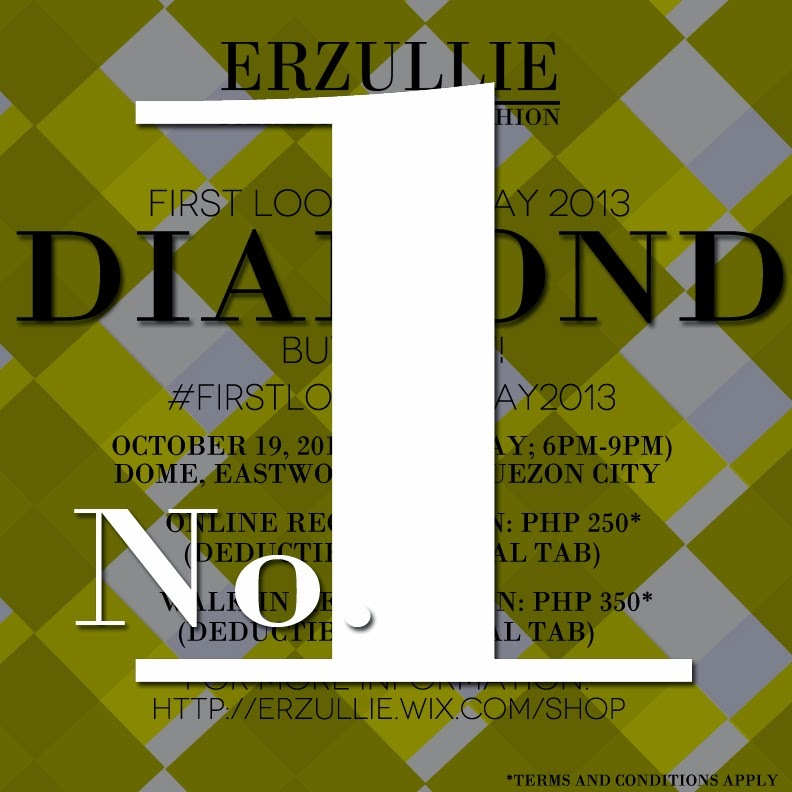 Results will be announced on or before January 30, 2014, Thursday. It will be announced on the social sites if an email or any form of announcement has been made. Some items may not make it to the public release or even the photo shoot itself. This happened already. There are items that already ran out during the first look event that by the time of the public release, it’s already broken sizes or it never even sees the day it gets shot on set. Chances are you may know someone who is in the same situation or maybe you are asking the same thing --- “Why am I still single?” After a reflection of my own mistakes back then, I guess, I can point out the three major ones that I have done. Who wants to hang out with a person who has drama 24/7? None. Who wants to hang out with a person who overcame an adversity? Almost everyone! Why? Because last thing that a person needs is more negativity in addition to what s/he has right now. If you are too negative, they won’t hang out with you. If they can’t hang out with you, how can they know you? If they don’t know you, how will they know if they like you? If they don’t know if they like you, how can they know they want to date you? It’s not your fault if you are smart, beautiful and successful but being rude towards any man that would approach you is definitely one of the reasons why you are single. Sure, eventually you may find a man who is ‘man enough’ to stay with you but don’t expect it to be instant. It will take a long time since they have to go through that passage and not all of them survives. Easy. Don’t be one of the guys or you will be one of the guys --- and it’s definitely hard to imagine an intimate relationship with one of your bros right? PLUS SIZE EVENT: DEADLINE OF ONLINE REGISTRATION FOR #FIRSTLOOKHOLIDAY2013 IS TOMORROW! 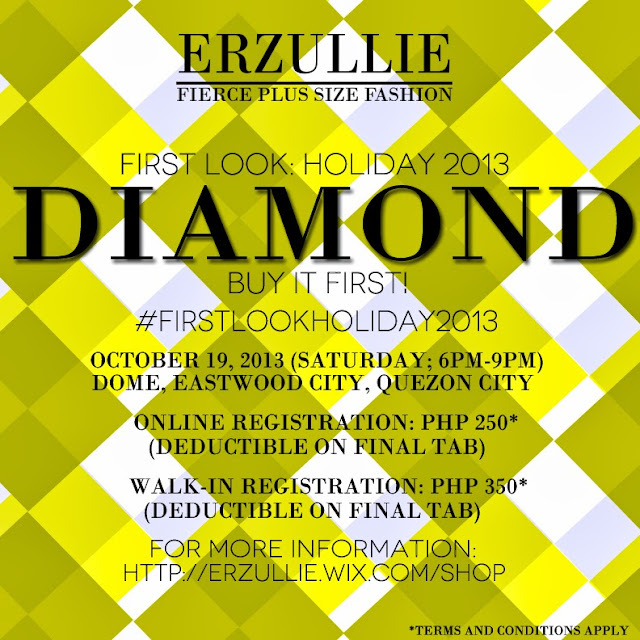 We would like to thank all of the Erzulliestas that registered online for Erzullie’s #FirstLookHoliday2013 event. We really appreciate and love you girls! Be the first to see and buy this demi-couture collection before everyone else, get 50% off some past items, experience free personal shopper service and of course, socialization with other Erzulliestas! Erzulliestas work hard for what they got! They take pride knowing that everything that they have on came from wise decisions and practicality. Sure they can’t help it if men and friends give them the occasional expensive gifts, but an Erzulliesta knows that the best things in life are the ones that you have achieved yourself. Whether it’s material or just plain feeling of contentment, an Erzulliesta is always ready to get down and work it! Have an awesome week ladies!